I've spent most of this week in my kitchen, it seems, and this list will reflect that! 1. In spite of the lack of attention that we've given to our garden, it continues to produce in abundance. Mooseman picked several cucumbers on Saturday, several more on Monday, then 16 more on Thursday. 2. We also picked 20 or so green peppers on Thursday. We used some on homemade pizza, and I'll be making stuffed peppers on Friday. Yum. 4. 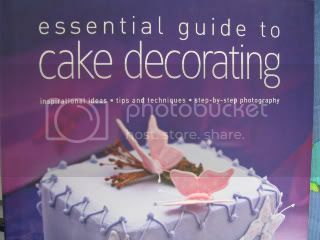 I got this cake decorating book at a summer clearance sale. I flipped through it and can't wait to try some of the ideas! 5. They can't all be about food! I know I'm years late in learning about the 5 Love Languages , but I haven't read the book. I took the online quiz and got results like 9-8-6-6-1 ... so I guess just about anything makes me feel loved. :) The only reason I got one point for Gifts is that the other choice (in whichever question it was) was even worse! If you'd like, share your results in the comments. My highest result was for Quality Time, by the way. For more Friday's Fave Five, click through to visit Susanne at Living to Tell the Story. :) Wonder where you got that book?! I have not seen that cake decorating book. Looks interesting. 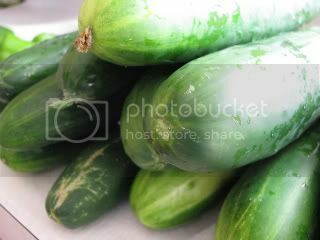 Those cucumbers look really good too! Everything looks so delicious! I'll be looking for that brownie recipe. 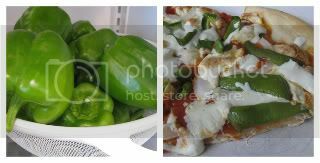 Have you ever heard of "Inside Out Stuffed Green Peppers"? It tastes a lot like stuffed peppers, you just don't put it in the pepper -- you put the pepper in it. It's good (and easier)! That's a great book. Happy weekend. I've never read the book either but really should. I came out very high on the Acts of Service end. All those fresh veggies and brownies are making my mouth water! I really like the 5 love languages! All those fresh cucumbers must be delicious! And those brownies! I've been craving brownies for a while. I need to take that love language quiz again, thanks for the link. Yes, the brownies look wonderful and I too will look for the recipe. Gardens are a glorious wonder, aren't they? Although I don't have one, I am the recipient of some wonderful produce. The book is great and a pre-requisite for all marriages IMHO. How nice to have a garden that can continue on without you. Your vegetables, pizza, and brownies look yummy. I’m with you on the Love Languages—gifts is my least one, too. The men in our lives should be thankful. Ha. "The Five Love Languages" has always been one of my favorite gifts to give newly married couples. It makes the most sense of any marriage book I've read. My "love language" is Acts of Service by the way, the same "language" that my dad always used to express his love to my mom and us kids as we grew up. Loved, loved, loved that book! I stopped getting mad at my husband for doing the dishes (I took it as an insult - thought he didn't like the way I did them or when I did them) and realized that his love language was acts of service. So I started taking out the trash for him and slowly convinced him that I would rather have him chat WITH me while we did the dishes together because my love language is quality time. Looking forward to the brownie recipe! Wow! your garden is giving back to you big time. I had a look at those brownies and I wonder why they went so fast, because they look so good. I love the five LL. Mine is words of affirmation. Hmm.. stuffed peppers sound great! I love your fave five. Nice that you can pick pepper for dinner like that. 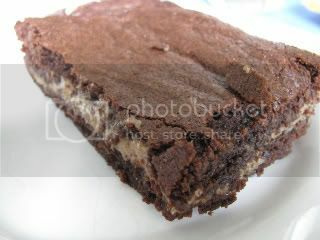 The brownies look amazing I cannot wait to see a recipe! I will take the link and check out the Languages of Love it sounds interesting. Love the home-grown veggies! We don't have a garden, but my parents & one of my sisters do, so we get to reap the benefits! My highest score was for "Words of Affirmation". YUMMY pizza :) and those brownies look fab girlie I can't wait for recipes. You'll have to post a pic of your garden. Garden fresh veggies are awesome!! Gotta love that. Your garden bounty is beautiful, enjoy! I wish we had gotten a bigger garden started this year. We only have a tiny garden, but next year I hope we can do better. Love language was pretty interesting. I was pretty well balanced, had 8 on 3 of the 5 but I don't remember what they were. We have been together forever! 33 years, and our secret to success is never take each other for granted. However you express it, thank you is a good way to say "I love you." I've been meaning to read Love Languages for YEARS! I finally got a copy through paperbackswap a couple of months ago...and still have yet to read it!! But, I took the quiz and it confirmed what I thought! I tied with 10 each for quality time and physical touch. I think I'll have to have hubby take the quiz tonight! BTW, can't wait for you to post that brownie recipe! Looks super yummy! The veggies look amazing. The brownies look great too. My love languages are words of affirmation and quality time. I've read and really like the love languages book. I got a high score for Acts of service. Which makes sense, because he isn't really verbally demonstrative about how he feels about me. However, he does help me a lot around the house, which I really appreciate, especially when my friends complain that their husbands don't do half of what mine does, without asking!